As an Inbound Internet Marketer one of the things I look forward to is getting someone to spot and read the content I created and/or shared online, be it a blog post, an image or a video. This however does not always happen, there are times I will get some reactions or comments from a post, other times there is notable traffic to a specific post, then there are those times, when absolutely nothing happens…. 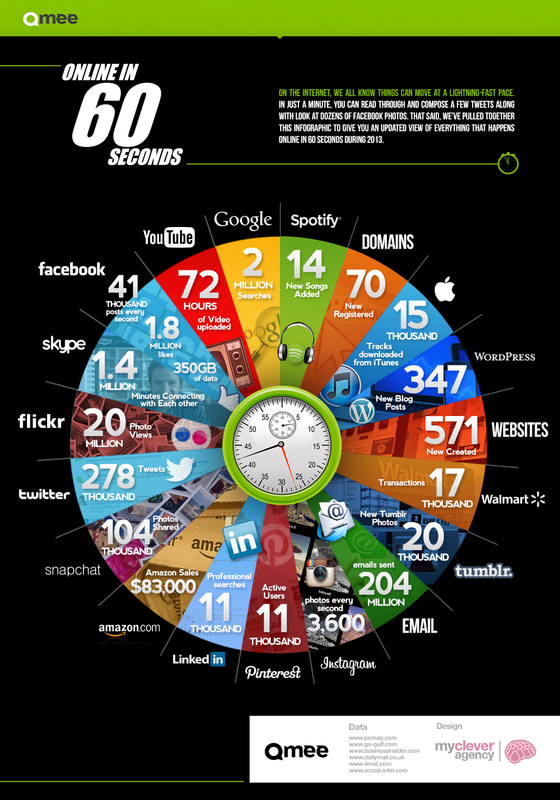 Now this infographic Online in 60 Seconds paints a too real picture on the activities that go on online in one tiny second. so i choose to take comfort in knowing it is not that the article/photo/video you missed was poor but you had much much more to choose from. So I will carry on, but this time get more involved. So for all those interested or involved in internet/inbound marketing this infographic should help you realize that only be persistently creating and sharing content will you make a ripple online.